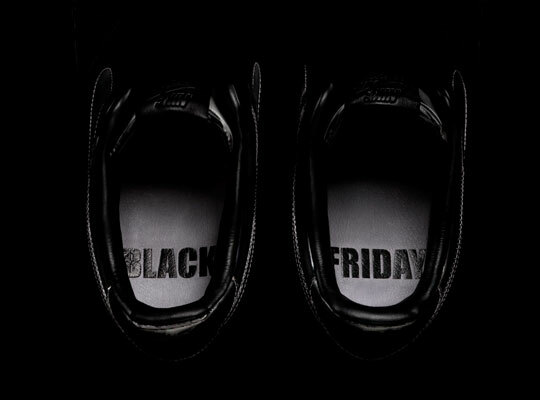 Nike will be releasing a limited edition “Black Friday” Air Force 1 on Black Friday.Â The sneaker will be released in limited quantities at 4pm on Black Friday at 21 Mercer (NYC), Shoe Gallery (Miami) and Concepts (Boston).Â DJ Clark Kent designed the shoe and will be personally on hand for the release in all three cities. The launch will begin at 4am at the 21 Mercer store. Next post: White T-Mobile G1 Coming Soon? ?